NIBC is organized by students on the NIBC Organizing Team under the guidance of the NIBC Board comprising professionals in investment banking, private equity and asset management. Board members meet regularly to provide input on the planning, discuss the case and help the team invite speakers through their personal networks. Most board members have been with NIBC since inception or served as directors on the organizing team while going through university. The Case & Oversight Committees consist of industry professionals who have dedicated their time and experience in valuation, financial modeling and transaction structuring to create sophisticated cases based on real-life situations for NIBC. Committee members also work closely with members of the organizing team to execute all aspects of the event. Prior to dissemination of the cases, the Case Committee solicits input from other board members and professionals involved in adjucating the Final Round. Tracey McVicar joined CAI in 2003 as a Managing Director and is now leading the firm as Managing Partner & Global Head. She spent the previous twelve years in investment banking, first at RBC Dominion Securities Inc., and later at Raymond James Ltd. and its predecessor company Goepel Shields & Partners. Ms. McVicar is currently a director at Teck Resources Ltd. and recently retired as a director of B.C. Hydro Corporation. She served as the chair of GLM Industries LP, Feeney Brothers Excavation LLC and GSI Inc., and a director at Tervita Corporation, all CAI portfolio companies. As part of her efforts to support non-profit causes, Ms. McVicar is a director of the Vancouver Board of Trade, the Fraser Institute and the chair of Golf for Good, an annual tournament that has raised over $1 million for non-profit organizations that “do a lot with a little”. She is a past director of the Vancouver General Hospital, UBC Investment Management Trust and the B.C. Forum for Women Entrepreneurs. Ms. McVicar is a past winner of Business in Vancouver’s Top 40 Under 40 and WXN’s Canada’s Most Powerful Women, Top 100 Award. She is a CFA charterholder and received a Bachelor of Commerce from the University of British Columbia. Kathy Butler joined CIBC Capital Markets 20 years ago and has been involved in a number of mergers and acquisitions advisory mandates, as well as debt and equity financings for clients in sectors such as technology, telecom, consumer retail, industrial products, and forestry. Ms. Butler holds an MBA (Honours) from the Rotman School of Management at the University of Toronto and a Bachelor of Commerce in Finance (Honours) from the Sauder School of Business at the University of British Columbia. She represented the technology industry on the BC Jobs and Investment Board and is currently on the Board of Governors of the Business Council of British Columbia. Ms. Butler is on the board of CIBC World Markets Inc., CIBC Children’s Foundation and St. George’s Foundation, and a Partner of Social Venture Partners Vancouver. Chris joined Stern Partners in 2008 and is actively involved in investments, acquisitions, dispositions, corporate development, corporate finance and the ongoing business related matters for the group’s companies. Prior to joining Stern Partners, Chris was a Director in Investment Banking at CIBC World Markets, where he worked extensively on numerous mergers & acquisition advisory mandates and debt and equity financings. Before joining CIBC World Markets, Chris worked in the United Kingdom as an Associate within the UK mergers & acquisitions group at Citigroup and as a Manager in the leveraged finance group at the Royal Bank of Scotland. Chris has a broad range of industry experience as well as a background in real estate investing. Chris is a Chartered Accountant and holds a Master of Business Administration (Honors) from The Wharton School, University of Pennsylvania and a Bachelor of Commerce from the Sauder School of Business. Rizvan Dhalla graduated from UBC with a B.Com in Finance in 1994 and was a Leslie Wong Fellow. After graduation, Rizvan joined BMO Capital Markets where he spent 6 years in Corporate Finance and Capital Markets in Vancouver and Toronto. Rizvan joined Morgan Stanley in 2000 in Equity Capital Markets and he is currently responsible for the Equity-linked capital markets business in the Americas. Harry joined Macquarie from its acquisition of resource-focused investment bank boutique Orion Securities Inc. where he has worked in Institutional Sales and Trading for over 20 years. Since then, Harry has worked on numerous financing and advisory assignments in the metals & mining sector. Harry transitioned from the Institutional Sales desk to his current role as Managing Director in the Metals & Mining Group in Vancouver in 2011. Additionally, Harry was a member of the President’s Council for the International Crisis Group from 2010 to 2013 and has been actively involved in the Local Advisory Committee for the TSX Venture Exchange since 2013. Jordan works in British Columbia Investment Management Corporation’s Private Placements group as an Assistant Portfolio Manager. Jordan is a member of a small team of individuals charged with investing and monitoring approximately $10 billion of capital in the private equity and infrastructure space. Prior to joining bcIMC, Jordan spent eight years as an investment banker with TD Securities, initially in Toronto and later in Vancouver, providing M&A advice and capital raising services for a diverse range of businesses. Jordan started his career with TD Commercial Banking in Victoria and Vancouver. Jordan has served on several not-for-profit boards, including Habitat for Humanity, the Vancouver Aquarium, and the University of Victoria Senate. Jordan is a CFA charter holder and holds an honours bachelor of commerce degree from the University of Victoria. Scott Powell is President of MDA Training, a firm that specializes in the design and delivery of finance workshops for the corporate and investment banking industries. Scott has written and delivered finance workshops for a wide range of financial institutions including Allied Irish Bank, ATB Financial, Brandes Investment Partners, Bank of America Merrill Lynch, Credit Suisse, Deutsche Bank, Glenview Capital Management, HSBC, ING, JP Morgan, Lloyds TSB, Royal Bank of Scotland and many others in financial modeling, financial forecasting, business valuation, advanced business and financial analysis, investment appraisal, and shareholder value creation. Prior to joining MDA Training, Scott was a manager in Ernst & Young’s business risk consulting practice where he was heavily involved in the development and delivery of financial training internally and to Ernst & Young clients. Scott is a UK Chartered Accountant who holds an honors degree in Politics/Economics from Trent University, Canada and a master’s degree in Economics from Cambridge University. Michael Scott is a Director in the Global Investment Banking group of RBC Capital Markets, and is based in Vancouver, BC. Since joining RBC Capital Markets in 2007, Michael has been responsible for financial modeling and analysis on a multitude of capital raising and M&A transactions across a broad range of sectors including mining, paper and forest products, and utilities. Prior to joining RBC, Michael worked in infrastructure finance, focusing on public infrastructure projects and P3s. Michael received a Bachelor of Commerce with Honours from the University of British Columbia. He has also received a diploma in Organisational & Strategic Management from the London School of Economics. Philip founded NIBC in 2009 as a first-year analyst with two university students and has led the efforts of past organizing teams and board members chairing the Case & Oversight Committees. Philip was raised in Germany and pursued a career as competitive pianist before moving to Vancouver and studying at the University of British Columbia. He worked in Macquarie Capital’s investment banking team in Vancouver covering West Coast advisory and principal investment opportunities in Canada & the US including most recently in Las Vegas. Prior to investment banking Philip spent two years in London, UK, working in software development on the management team of a media startup before starting in equities research at UBS. Gint Austrins is currently an Associate covering metals and mining at Global Securities, a full service brokerage house based out of Vancouver, Canada. Previous to Global Securities, Gint worked at UBS Securities Canada as an analyst on the metals and mining team in Toronto. His investment banking experience spans situations involving debt and equity financings as well as M&A advisory. Gint was a participant in UBC’s Investment Banking Competition in 2008 and is a firm believer that early experience is one of the best assets one can have. He graduated with honours from the Sauder School of Business at UBC, earning a finance degree in 2009. Martin Haakonsen is an Investment Banking Analyst at TD Securities in Vancouver. Prior to joining TD, Martin worked as a summer analyst during 2011. Martin was a competitive alpine skier and coach for the Norwegian Ski Federation and has worked as a Program Leader for the International Student Energy Summit, where he was responsible for developing the Markets & Regulation section of the conference. As a past director of the NIBC Organizing Committee, Martin helped students become more competitive when seeking employment in the investment banking industry by providing a competition and conference that is unprecedented in North America. Martin holds a Bachelor of Commerce in Finance from the University of British Columbia. Dipak Kamdar founded NIBC as a national event alongside Philip Chua and Amardeep Chandi in the last year of his undergraduate program. Dipak is currently working in his hometown Kuala Lumpur on the debt syndication team of Maybank, which is Malaysia’s largest bank and 4th largest in South East Asia. Prior to returning to his hometown, Dipak worked at Royal Bank of Scotland in Hong Kong in their Equity Derivatives structuring team. Dipak holds a Masters of Finance from Queen’s University and a Bachelor of Commerce in Finance from the University of British Columbia. Amardeep Chandi co-founded NIBC in 2009 alongside Dipak Kamdar and Philip Chua. In 2012, he graduated from the Portfolio Management Foundation Program at the University of British Columbia as a Leslie Wong Fellow, where he had worked as a Research Associate and then Fund Manager. Amardeep spent his summers working as an Analyst at West Face Capital in Toronto followed by Greywolf Capital and Morgan Stanley in New York. He is currently an Associate at Kohlberg, Kravis and Roberts in New York. 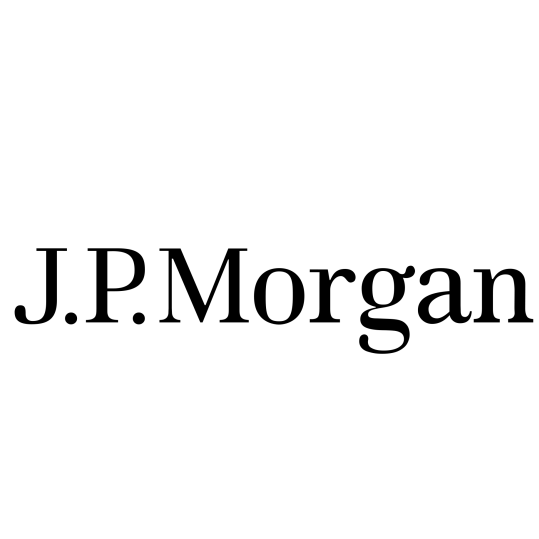 Noam Gilead is a 1st year associate on the J.P. Morgan’s Corporate Finance Advisory team. Corporate Finance provides advice to major global corporations on key financial policy decisions and develops structured products. Prior to his career in investment banking, Noam completed internships at RBC Global Asset Management - Phillips, Hager & North (2011) and Ontario Teachers' Pension Plan (2010), worked at Relaxus Product Ltd. as an E- Commerce website manager (2007-2010) and served in the Israeli Defense Forces (IDF) as a lieutenant at a first-line paratrooper’s battalion and as part of the commanding staff of the communications officers course (2002-2006). Noam is an Israeli/Canadian and was born in Tel Aviv. He earned a Bachelor of Commerce degree with honors (2012) at the University of British Columbia in Vancouver, Canada and is a Leslie Wong Fellow. Noam was a part of the founding team of FNIBC. Mr. Lee is an Associate at Oaktree Capital Management. He is involved in all aspects of investment activities within the Power Opportunities group, including identifying potential investment opportunities, executing transactions and portfolio company oversight. Prior to joining Oaktree in 2015, Mr. Lee was at Evercore, where he focused on mergers and acquisitions across multiple industries. Mr. Lee graduated with honors from the University of British Columbia, where he received a Bachelor of Commerce degree in Finance. Haroon is an Associate in the Mining Group of BMO Capital Markets in Vancouver. He has been involved in the judging process for NIBC and participated as a competitor on the winning undergraduate team in 2011. David Lam is an Associate in Macquarie Capital’s investment banking team in New York. Previously, he worked in commercial lending at GE Capital and in equity research at Global Securities. David served as the Vice-President Finance for the UBC Commerce Undergraduate Society during 2011-2012, overlooking a $1.3 million annual budget for over 2900 students. He was an active volunteer for Atira Women’s Resource Society, a community-based organization that supports women and their children who are impacted by violence. As a delegate of the First National Investment Banking Competition and Conference and the Chairperson of NIBC 2012 and NIBC 2013, David understands and appreciates the benefits that the event provides for students and is continuing his extensive involvement with NIBC as a member of the Case Committee. Charles Wong is an Analyst in the Investment Banking division at Canaccord Genuity, where he is primarily focused on Diversified, Technology and Life Science sectors. Prior to joining Canaccord, Charles was an analyst at a global financial institution, where he worked on syndicated transactions across various industries for large and international corporates. He joined NIBC in 2011 and has been involved with key aspects of strategic, operational and case development initiatives. He studied in Asia at the Hong Kong University of Science and Technology, and was a part of the sponsor-backed Value Partners-HKUST Student Managed Investment Fund. Charles graduated with a Bachelor of Commerce degree in Finance with a minor in Economics from the University of British Columbia. Nicole will be joining Jefferies in their Energy Group in Houston as an Analyst in the Summer of 2017. Nicole was part of the NIBC 2015 and 2016 Organizing Team overseeing the conference, sponsorship and marketing efforts.